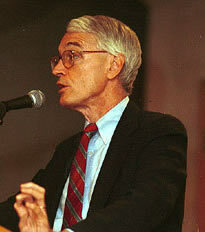 Francis A. Boyle is a Professor of International Law at the University of Illinois, College of Law. Written over a decade ago and personally handed to Yassir Arafat, Professor Boyle’s plea to be given authority to bring genocide proceedings against the State of Israel in the International Court of Justice is as relevant (if not more relevant) today as it was then. In the wake of the recent atrocities committed by the State of Israel in Gaza, there has been a chorus of cries for those responsible to be brought before an International Court or Tribunal and be prosecuted for war crimes. The unprecedented level of slaughter and destruction coupled with the powerfully disturbing images available to the public via satellite television, has led to extraordinary public outrage and in turn, political pressure on the governments and international organisations of the world to bring Israel to account for the massacres committed. To this end, the International Criminal Court (ICC) is currently examining the mechanisms in which it could possibly enjoy jurisdiction over the matter as Israel is not a state party to the Rome Statute upon which the ICC was established. Unfortunately, its investigators were denied entry into Gaza by the Egyptian authorities at the Rafah Crossing, fearful perhaps of their own government being brought to account for their complicity in the atrocities that were committed. Other NGOs such as the Mazlumder (Turkey), the Islamic Human Rights Commission (UK) and Lawyers for Palestinian Human Rights (UK) have sent delegations of lawyers into Gaza to take victims’ testimonies and gather evidence which may be used in any future legal action against Israel. Within Gaza, an official Committee has been established by the government to document and investigate war crimes committed by Israeli troops during the recent aggression. In light of the above, Professor Boyle’s paper, written over a decade ago, calling on the Palestinian Authority to give him the authority to issue proceedings for genocide against Israel in the International Court of Justice is even more compelling today. Having not received such permission from the Palestinian Authority, Professor Boyle repeated his call in April 2008, this time to the Iranian government to give him such authority. The structures and mechanism for seeking international justice have changed dramatically since Professor Boyle wrote his original article in 1997, yet the actions of the State of Israel remain the same. I would like to propose publicly here in Gaza, Palestine—where the Intifadah began ten years ago at this time--that the Provisional Government of the State of Palestine and its President institute legal proceedings against Israel before the International Court of Justice (ICJ) in The Hague (the so-called World Court) for violating the 1948 Convention on the Prevention and Punishment of the Crime of Genocide. I am sure we can all agree that Israel has indeed perpetrated the international crime of genocide against the Palestinian People. The purpose of this lawsuit would be to demonstrate that undeniable fact to the entire world. These World Court legal proceedings will prove to the entire world and to all of history that what the Nazis did to the Jews a generation ago is legally similar to what the Israelis are currently doing to the Palestinian People today: genocide. Second, the President of the State of Palestine should deposit a Declaration with the International Court of Justice accepting the jurisdiction of the Court in accordance with the Charter of the United Nations and with the terms and subject to the conditions of the Statute and Rules of the Court, and undertaking to comply in good faith with the decisions of the Court and to accept all the obligations of a Member State of the United Nations under Article 94 of the United Nations Charter. Article 35(2) of the Statute of the International Court of Justice gives the Security Council the power to determine the conditions under which the World Court shall be open to states such as Palestine that are not yet Parties to the ICJ Statute. These conditions have been set forth by the Security Council in a Resolution of 15 October 1946. I would recommend that the State of Palestine consider making a "general declaration" accepting the jurisdiction of the World Court generally in respect of all disputes which have already arisen, or which may arise in the future, as permitted by paragraph 2 of this 15 October 1946 Security Council Resolution. Pursuant to the terms of paragraph 5 of that Resolution, "All questions as to the validity or the effect of a declaration made under the terms of this resolution shall be decided by the Court." Therefore, it would be for the World Court itself to decide whether Palestine is a State entitled to exercise the powers conferred by the Security Council in its Resolution of 15 October 1946. For reasons explained in more detail below and elsewhere, I believe the World Court will decide in favor of Palestine on this matter of its Statehood. Article IX of the Genocide Convention, to be quoted in full below, contains such a "special provision" or compromissory clause. Notice that in the language emphasized above, the World Court ruled that a State Party to the Genocide Convention could file a lawsuit against another State Party even "independently of the conditions of the Security Council in its resolution 9 of 1946." In other words, Palestine can sue Israel for violating the 1948 Genocide Convention so long as Palestine becomes a Contracting Party to the Genocide Convention. For reasons explained in more detail below and elsewhere, I believe the World Court will find that Palestine is a State entitled to become a Contracting Party to the Genocide Convention. Out of an abundance of caution, however, I still recommend that Palestine file the above-mentioned Declaration generally accepting the jurisdiction of the International Court of Justice. In accordance with Article 36(6) of the ICJ Statute, in the event of a dispute as to whether the World Court has jurisdiction over a lawsuit between Palestine and Israel on the basis of Article IX of the Genocide Convention, "the matter shall be settled by the decision of the Court." Therefore, the filing of this genocide Application should be enough to get Palestine into the World Court against Israel for quite some time. And once Palestine is in the World Court, we can then consider requesting from the Court at any time an Indication of Provisional Measures of Protection against Israel to cease and desist from committing all acts of genocide against the Palestinian People. This international equivalent to a temporary restraining order would be similar to the two cease-and-desist Orders that I won from the World Court against the rump Yugoslavia on behalf of the Republic of Bosnia and Herzegovina on 8 April 1993 and 13 September 1993. 34. Having reached the conclusion that it has jurisdiction in the present case, both ratione personae and ratione materiae on the basis of Article IX of the Genocide Convention, it remains for the Court to specify the scope of that jurisdiction ratione temporis. In its sixth and seventh preliminary objections, Yugoslavia, basing its contention on the principle of the non-retroactivity of legal acts, has indeed asserted as a subsidiary argument that, even though the Court might have jurisdiction on the basis of the Convention, it could only deal with events subsequent to the different dates on which the Convention might have become applicable as between the Parties. In this regard, the Court will confine itself to the observation that the Genocide Convention -- and in particular Article IX -- does not contain any clause the object or effect of which is to limit in such manner the scope of its jurisdiction ratione temporis, and nor did the Parties themselves make any reservation to that end, either to the Convention or on the occasion of the signature of the Dayton-Paris Agreement. The Court thus finds that it has jurisdiction in this case to give effect to the Genocide Convention with regard to the relevant facts which have occurred since the beginning of the conflict which took place in Bosnia-Herzegovina. This finding is, moreover, in accordance with the object and purpose of the Convention as defined by the Court in 1951 and referred to above (see paragraph 31 above). As a result, the Court considers that it must reject Yugoslavia's sixth and seventh preliminary objections. In other words, Palestine would be able to claim in its World Court Application against Israel that the Israeli genocide against the Palestinian People commenced with the Zionist war, conquest, ethnic cleansing, and occupation of 1948--"the beginning of the conflict," to use the precise words of the World Court itself. Indeed, in the Bosnia case I already successfully argued to the World Court that ethnic cleansing is a form of genocide. Certainly, Palestine has a valid claim that Israel and its predecessors-in-law--the Zionist Agencies and Forces--have committed genocide against the Palestinian People that actually started in 1948 and has continued apace until today in violation of Genocide Convention Article II(a), (b), and (c), inter alia. For at least the past fifty years, the Israeli government and its predecessors-in-law--the Zionist Agencies and Forces--have ruthlessly implemented a systematic and comprehensive military, political, and economic campaign with the intent to destroy in substantial part the national, ethnical and racial group known as the Palestinian People. This Zionist/Israeli campaign has consisted of killing members of the Palestinian People in violation of Genocide Convention Article II(a). This Zionist/Israeli campaign has also caused serious bodily and mental harm to the Palestinian People in violation of Genocide Convention Article II(b). This Zionist/Israeli campaign has also deliberately inflicted on the Palestinian People conditions of life calculated to bring about their physical destruction in substantial part in violation of Article II(c) of the Genocide Convention. Of course, the downside of bringing this lawsuit is that at some point in the future the World Court could rule that the State of Palestine does not exist as a "State" entitled to accede to the Genocide Convention. But I think that there is a high probability that this World Court, as currently constituted, would rule in favor of the existence of the State of Palestine. Palestine is also a Member State of the League of Arab States, which is the appropriate "Regional Arrangement" organized under Chapter VIII of the United Nations Charter. In addition, Palestine has Observer State Status at the United Nations Organization. Indeed, today Palestine would be a Member State of the United Nations Organization if not for illegal threats made by the United States Government to keep Palestine out of the United Nations. Nevertheless undaunted, on 15 December 1988 the United Nations General Assembly adopted Resolution 43/177, essentially recognizing the then month-old State of Palestine. That Resolution was adopted by a vote of 104 in favor, the United States and Israel opposed, and 44 states abstaining. For reasons fully explained elsewhere, such General Assembly recognition of the State of Palestine is constitutive, definitive, and universally determinative. To be sure, we can expect that the United States Government will do everything possible to line up the votes of certain Judges against Palestine. But it is no longer the case that the United States Government controls the World Court. In this regard, recall the high degree of independence the World Court demonstrated by condemning the United States Government throughout the proceedings of Nicaragua v. the United States of America over a decade ago. Of course, if necessary, I could also sue the United States before the International Court of Justice for aiding and abetting Israeli genocide against the Palestinian People in violation of Article III(e) of the 1948 Genocide Convention that expressly criminalizes "complicity" in genocide. This separate lawsuit against the United States would be similar to the proceedings that President Izetbegovic of the Republic of Bosnia and Herzegovina authorized me to institute against the United Kingdom on 15 November 1993 for aiding and abetting Serbian genocide against the Bosnian People. In this regard, you should consult the Statement of Intention by the Republic of Bosnia and Herzegovina to Institute Legal Proceedings Against the United Kingdom Before the International Court of Justice of 15 November 1993, which I drafted for the Republic of Bosnia and Herzegovina and filed with the International Court of Justice on that same day. The Bosnian U.N. Ambassador Muhamed Sacirbey also circulated this Statement to the Member States of both the General Assembly and the Security Council as an official document of the United Nations Organization. This document should give the reader a fairly good idea of the legal basis for Palestine to sue the United States at the World Court for aiding and abetting Israeli genocide against the Palestinian People. In regard to this proposed lawsuit, the U.S. government's reservation to Article IX of the Genocide Convention is invalid and severable. For these reasons, then, I would ask all the Palestinian People around the world to give the most serious consideration to backing my proposals: Tell the Provisional Government of the State of Palestine and its President to sue Israel for genocide before the International Court of Justice! Tell the Provisional Government of the State of Palestine and its President to sue the United States before the International Court of Justice for aiding and abetting Israeli genocide against the Palestinian People! May God be with the Palestinian People at this difficult time in your Nation's history. See Francis A. Boyle, The International Legal Right of the Palestinian People to Self-determination and an Independent State of Their Own, 12 Scandinavian J. Development Alternatives, No. 2 & 3, at 29-46 (June-Sept. 1993); The Future of International Law and American Foreign Policy 135-96, 268-73 (1989) (Creating the State of Palestine). See Francis A. Boyle, The Bosnian People Charge Genocide (1996). See, e.g., Francis A. Boyle, Determining U.S. Responsibility for Contra Operations Under International Law, 81 Am. J. Int'l L. 86-93 (1987); Defending Civil Resistance Under International Law 155-210 (1987). See U.N. Doc. A/48/659-S/26806, 47 U.N.Y.B. 465 (1993). See also John Quigley, Complicity in International Law: A New Direction in the Law of State Responsibility, 57 Brit. Y.B. Int'l L. 77-131 (1986). (c)Copyright 1997 by Francis A. Boyle. All rights reserved.